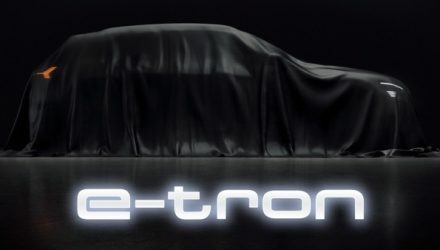 After what has to have been the most exhaustive teaser campaign in the history of the internet, Audi has finally taken the wraps of its all-new e-tron fully electric SUV. 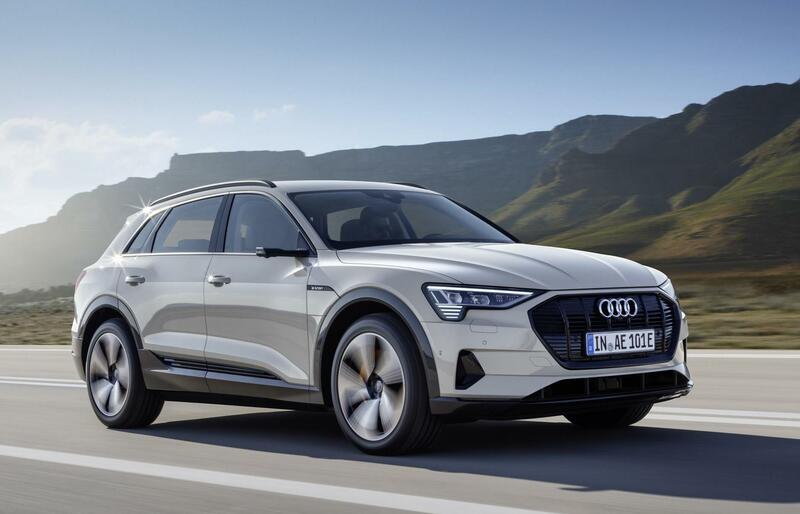 This is Audi’s first fully electric SUV and the first of many planned to be launched under the new e-tron sub-brand. 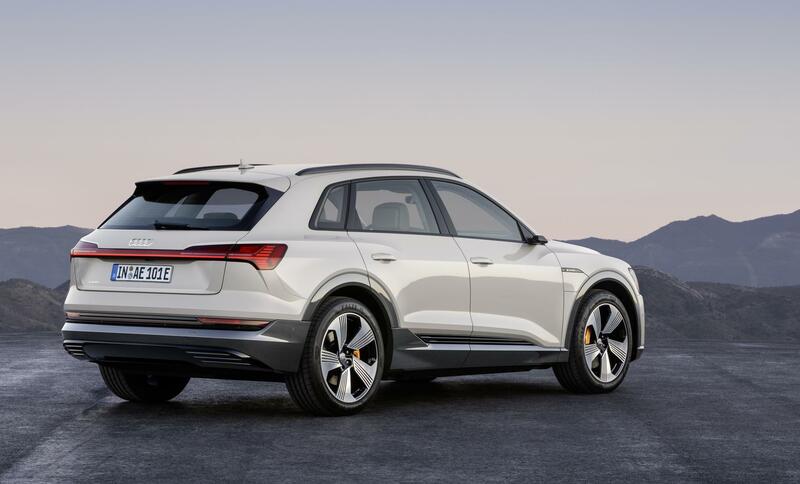 It’ll compete against the Mercedes-Benz EQC and upcoming BMW iX3. Standing at 4901mm in length, 1935mm in width, and 1616mm in height, the e-tron is about 150mm shorter, about 30mm narrower, and about 130mm lower than the Q7. 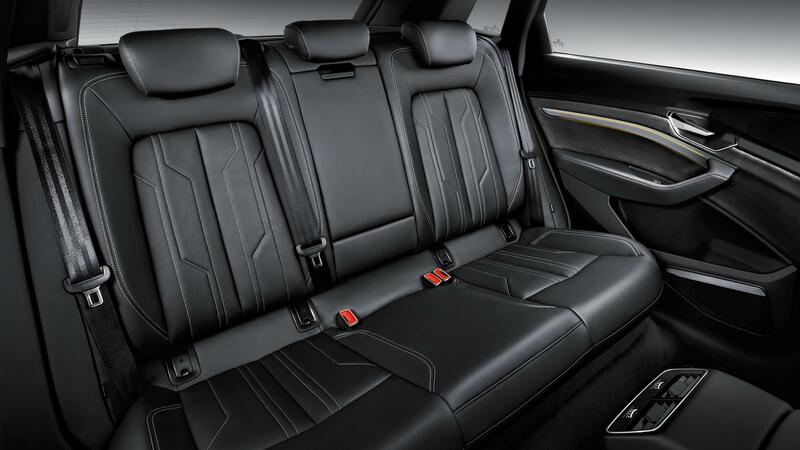 It’s also slightly bigger than the Q5. 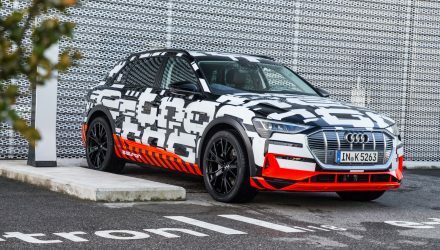 As we already know from the countless teasers, the Audi e-tron uses a 95kWh battery that provides up to 300kW of power and 664Nm of torque. 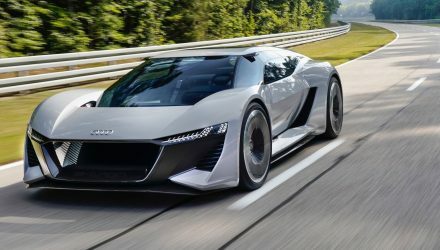 Across the 0-100km/h sprint, Audi claims a time of 5.7 seconds, with a top speed electronically limited to 200km/h. On a single charge, under the WLTP test cycle, the e-tron offers a range of about 399km. When it comes time to charge it back up, customers will be able to use a fast-charge station at 150kW DC for around 30 minutes before they can take on another long journey. Customers will also be able to use AC at 11kW or 22kW. So, how about that design? 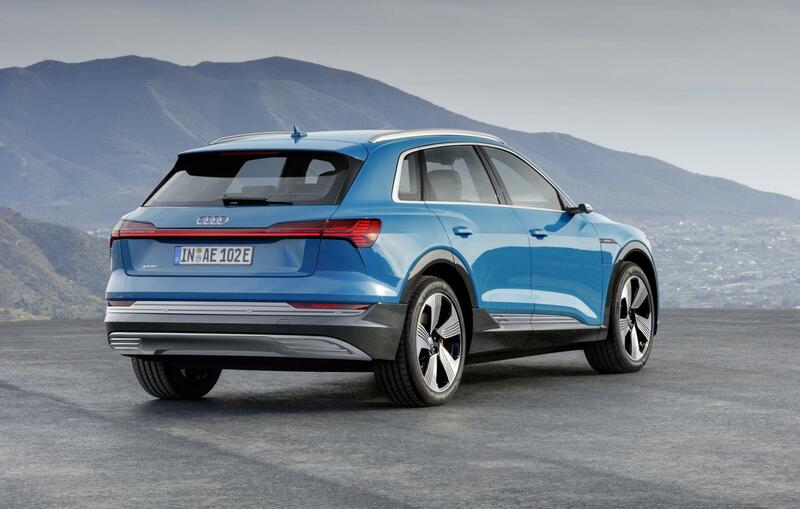 Audi has used the e-tron quattro concept car as inspiration in coming up with the styling. 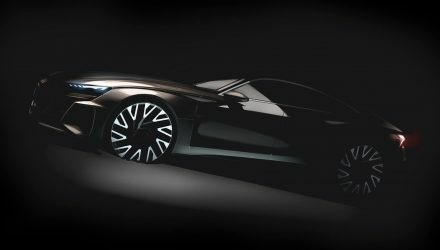 And it looks like plenty of the concept’s details are carried over for the production version. 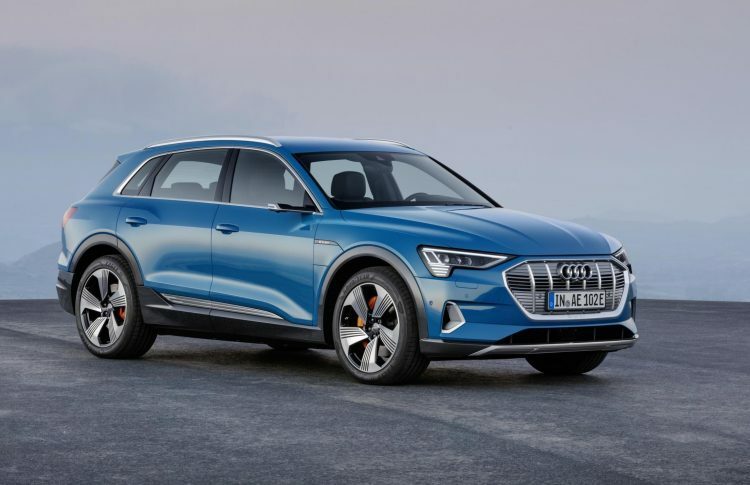 There’s Matrix LED headlights with integrated daytime running lights along the lower edge (a first for an Audi and a signature of e-tron), with a wide, exhaust-free diffuser at the back, and even camera side mirrors available as an option for that futuristic look. Inside, it’s crammed full of digitised gear. 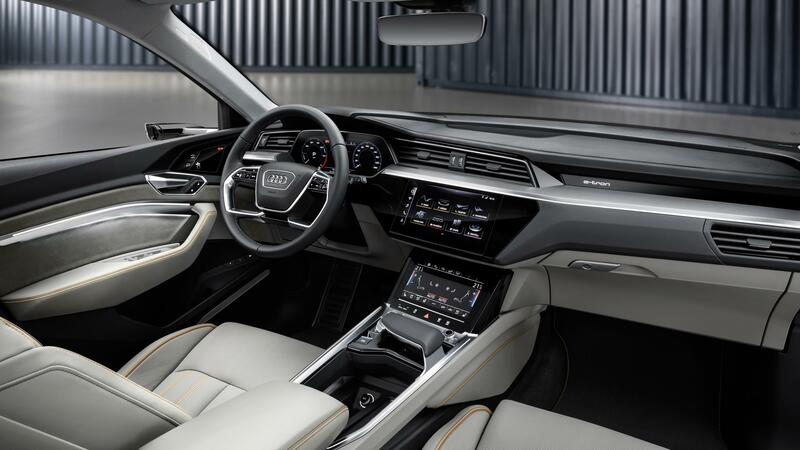 There are three screens, including two large MMI media and climate screens on the main dash fascia, with another screen for the instrument cluster. Passengers can stay fully connected via the on-board LTE Advanced and Wi-Fi hotspot connectivity, with a high-tech sat-nav system that’s capable of planning efficient routes. 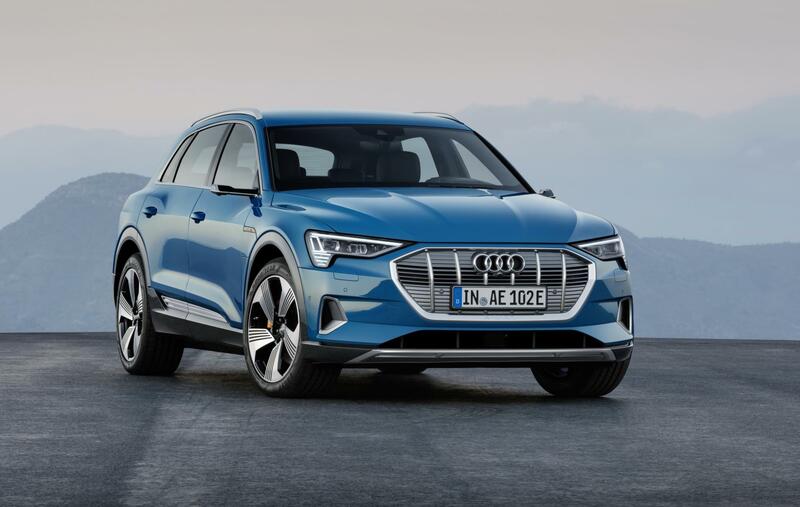 Audi will be opening the order books for the e-tron at the start of 2019. Prices in the UK will start from £70,805. Australian details are yet to be confirmed.